The Mistress has green BEWBS! What did Frodo say when he saw the trees dancing? It looks like Lord of the Rings Online has a new publisher! Sometimes there's news that just makes you go, "Huh?" At times it happens because said information makes no sense whatsoever; other times it surprises you so thoroughly you have no words as you look around wondering where on earth it came from. Last week we got smacked with the latter. Turbine’s announcement that Lord of the Rings Online and Dungeons & Dragons Online were breaking off under a new independent studio wasn't so far-fetched, especially with Turbine's professed focus on turning into a mobile studio. I heard that and didn't really bat an eye, I just nodded my head and thought, sure, that makes sense. What was a jaw-dropping surprise was the announcement that Daybreak would be the new publisher. Who ever would have envisioned Norrath and Middle-earth (and Eberron!) becoming family, romping together in the same backyard and sharing a swingset? You never thought they would actually meet. No, we certainly didn't see that coming. But once I had a moment to digest the news and think about it (and after we finished with a few jokes, like Justin's query on whether we should combine our columns to make EverLording), it made sense. And I can see it as a good thing for both parties. (Talking about the pairing of companies, not the columns!) Standing Stone Games and Daybreak both stand to benefit here, meaning their games benefit. Thankfully I don't see any cross-pollination between the IPs, but I do see two studios growing and see two games continuing on instead of being shut down. Quite frankly, Daybreak needs a win. It needs to engender goodwill again. And it needs to expand. This move can accomplish all three of those. Despite what many naysayers trumpet and what some fans fear, Daybreak isn't dead in the water. It may not be riding the crest of the wave that SOE was, but it isn't crawling into Davy Jones' locker, either. However, in business if you aren't growing, you are dying. You know that Daybreak needs to expand -- the question is how that would happen. It certainly doesn't appear to be forthcoming from a development standpoint. EverQuest Next was the big flagship MMO that was taking the company into the future, and it is gone. That doesn't leave much to sail into the future with; the tugboat of an unnamed mobile title isn't going to pull things far. And since a significant portion of the studio's titles live on only in memory (or emulators), that's not much left to work with. So if producing a game is out, what does that leave? Publishing other games. And going with LOTRO and DDO is a smart move. How can this be a win? Not only does the studio expand, but it does so with established games with popular IPs. After the loss of the studio's biggest project and little appearing on the horizon, things did look bleaker for the company. By publishing games, Daybreak adds to its roster -- and infuses revenue and stability into the company, which benefits its established titles like EverQuest, EverQuest II, and DC Universe Online! -- without having to pour out all the capital for development on something that may or may not take off. There isn't the level of monetary commitment nor the risk of flopping that comes with developing from scratch. 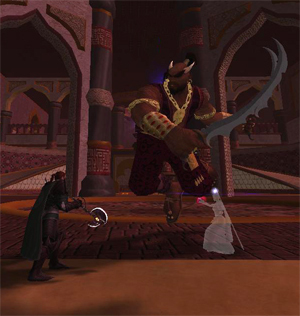 Both LOTRO and DDO are established games with a known track record. Both have an established fan base. It also introduces more people to Daybreak who haven't looked at the studio before. Now, Daybreak just needs to make sure it doesn't do anything to alienate this new crowd! There is no denying that Daybreak is operating under a pretty thick (and deserved) cloud of negative perception. Scrapping much-anticipated games, shuttering others -- folks are understandably apt to harbor disappointment and distrust over things like that. Looking at how many games have closed, you can see why some call the studio They Break Games. However, that is a narrow view of the whole situation that leaves out other facts; some folks seem to have forgotten that as SOE, Daybreak was once known and beloved for keeping games alive. Vanguard is a prime example. If SOE hadn't stepped in, that game would have never seen the light of day let alone offer years of enjoyment to players. It also brought new ideas and systems to the MMOverse. Vanguard introduced decorating on the z axis (which SOE incorporated into its other games), brotherhoods, and working boats that were also living spaces to name a few. To this day I still think Vanguard had the best classes anywhere. Yes, it did eventually shut down, but Vanguard had a much fuller life than it ever would have otherwise, and the MMO landscape is better for it. I am grateful for the time I had in it. As disappointing as the closing of Free Realms was to all its players, all indications are that the game ran at a loss for such a long time. Daybreak kept it going. Yes, it reached a time when it really was no longer feasible. Watching so many games shutter at once did feel like some doom and gloom, but in retrospect we can better see why it happened as SOE itself was shuttered. But the fact remains that the game remained operating for a long time -- that wouldn't have happened under another studio. And isn't seeing LOTRO and DDO remaining in operation exactly what the fans want? Daybreak is the studio for that. The new partnership isn't one-sided in its benefits; Lord of the Rings Online and Dungeons & Dragons Online are getting something out of this deal. For one, the games are sticking around! 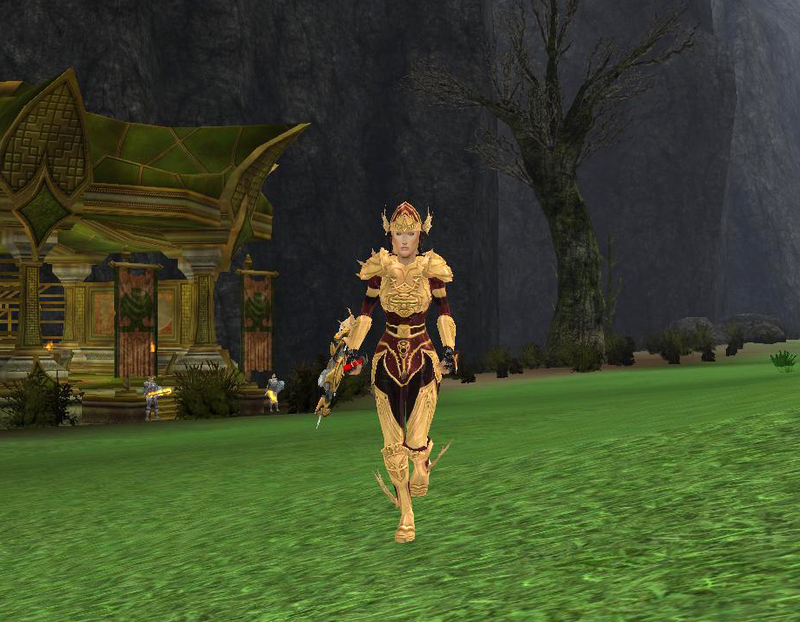 Many LOTRO fans have been on edge for years worrying about the fate of their beloved game. And poor DDO: It has a dedicated playerbase, but do we hear much about it lately? With Turbine's obvious shift away from MMOs, the games' fates looked even more tenuous. However, with Daybreak stepping into the picture, both games have a rosier and more secure future. Consider the fact that without the Turbine name, the new studio as little clout in the business world. No one knows Standing Stone Games; it isn't recognizable. Indie studios, even when built with established devs, generally have a tougher time in the market. Name recognition and contacts really do mean quite a bit. With Daybreak as the publisher, Standing Stone has instant established connections. What if devs want to take the game into another market? I am not saying they do, or have any thought on the matter, but Daybreak does have experience publishing in different markets. Those connections can be invaluable. The partnership with Daybreak also expands the skill resource pool. The devs that broke off into Standing Stone are devs who develop the game. That is awesome news for continued development! But how many of them are big on marketing? How many are experienced in PR? The chances of a small indie studio being able to fill all the necessary roles to develop and market the games successfully are pretty slim. And face it, many indies fail precisely because of lack of marketing. Daybreak brings that experience to the mix, allowing the devs to focus on the development part that they are good at. This is a good thing. Don't worry so much about Daybreak altering the core substance of these games; as publisher, Daybreak most likely has little say in the development side of things. 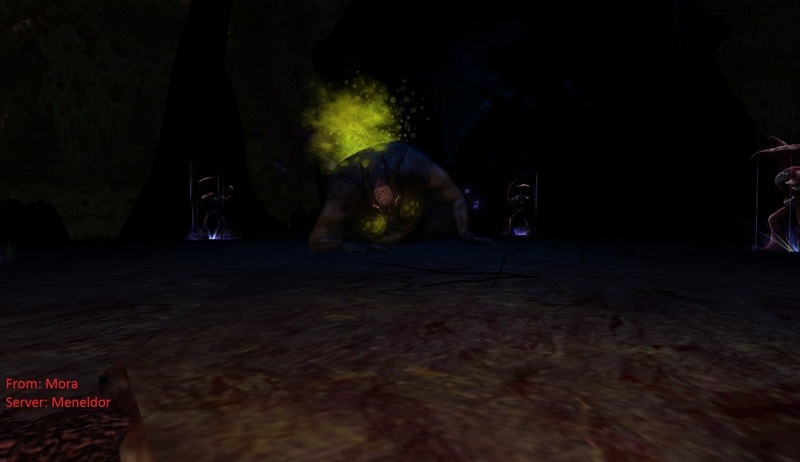 The pairing just lets LOTRO and DDO keep on keeping on with its own devs while taking advantage of the bigger studio's name recognition and connections. Sounds pretty win/win to me. Can Daybreak help the games -- especially DDO -- be more visible in the market? I believe so. DDO was barely on my radar for so long I couldn't even recover my original account. Yet when I went back into the game, I really enjoyed myself. That title seems like a likely candidate to be shuttered. If Daybreak can bring the game back into the minds of gamers and entice them to give it another try, it would be a pretty great thing. I am hoping the bigger studio does just that. And that's definitely a win. How does everyone feel about this? Also would anyone be interested in ressurecting this site? I'd like to recruit some volunteer admins if you are interested. If you are interested and play LotRO, then send me a PM. On Monday, Lord of the Rings Online released Update 13: The Breaking of Isengard. Owners of the Helm's Deep expansion can embark on a quest to discover what has happened to Saruman after the sacking of Isengard. Additional features include a new mail system, UI customization and size upgrades for inventories, new items in Lalia's market and more! The recent Producer's Letter also mentioned that the next class to be introduced in LotRO will be the Beorning! You can read the entire letter on the official forums. Lord of the Rings Online's Yule Festival quests and activities have returned to the town of Winter-home. If you complete the festival deeds, you'll earn a reward. The rewards include an exclusive Travel Mount & War-Steed Appearance and new cosmetics. Read more about it after the jump! Explore new landscapes across Western Rohan - Explore the Westemnet of Rohan and rally each of the five ridings as Rohan returns to glory. Traverse the capital of Edoras, mysterious Dunharrow, and the fortress of the Hornburg within Helm's Deep. Advance from levels 85 to 95 - Experience 10 new levels, from 85 to 95, with new skills and completely updated class specializations. Both mounted and un-mounted combat will challenge you as you war against the evil forces of Saruman. Continue the Epic Story - Encounter beloved characters such as Aragorn, Éowyn, and Éomer. Restore King Théoden to his rightful throne while you defend the peoples of Rohan at Helm’s Deep.